Are your diapers really safe and effective? Yes! Our eco-friendly, sustainably sourced products are certified skin-safe and have received the most coveted and stringent credentials, awards and eco-labels in the world to ensure the health and safety of your child. 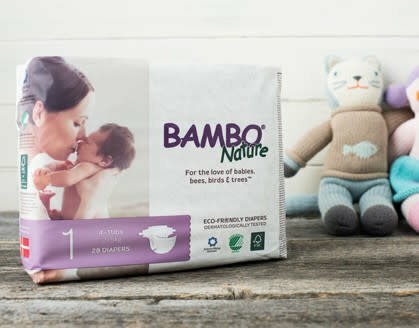 How absorbent and breathable are Bambo Nature diapers? 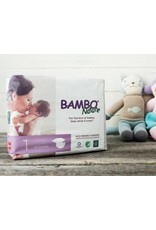 Our technologically innovative diapers are thin, yet ultra-absorbent, and feature a fully breathable backsheet. This allows moisture to be wicked away faster, keeping baby’s skin dry and reducing the likelihood of diaper rash. A dry environment, along with the absence of harmful chemicals and allergens, not only prevents, but aids in the healing of diaper rash.